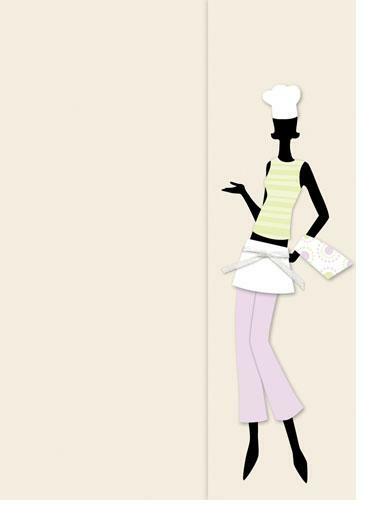 This invitation is perfect for a cooking party. 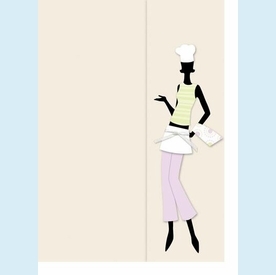 A cream insert sheet slips behind the fashionable chef silhouette. CLOSEOUT...Only 6 boxes left! SIZE DIMENSIONS: ~8.25" x 6"